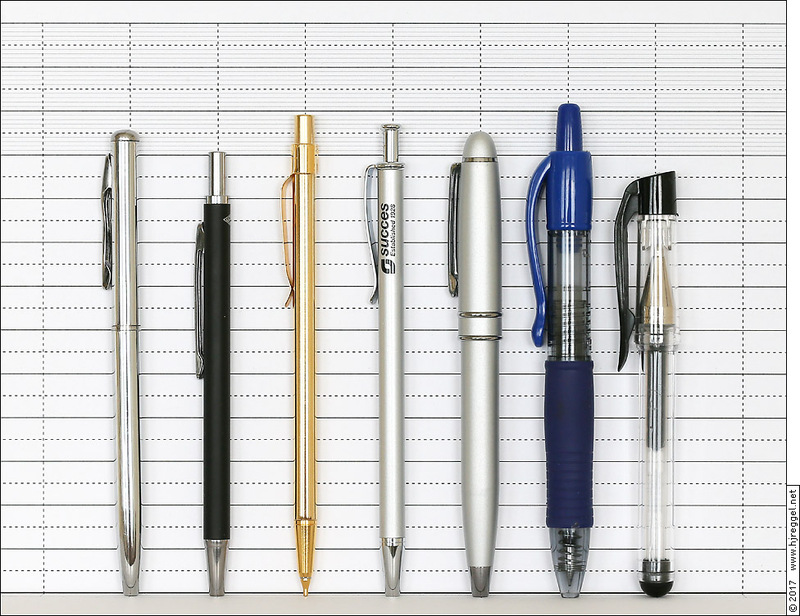 The most important drawback of the mini formats is the choice of pens. First of all, the total length has to be less than 120mm. Based on the paper size, the length should be around 105mm. Depending on the size and position of the pen loop, the actual choice of matching pens can be very limited. The scale shows a 1mm line spacing from 100mm to 130mm. The solid lines are every 10mm, the dashed lines at 5mm inbetween. The mentioned Company and Product names are usually registered brand names and/or trademarks. They are given for reference purposes, without any commercial intent.